A simple mandala drawn with a paint marker on a stone painted with acrylic paint. 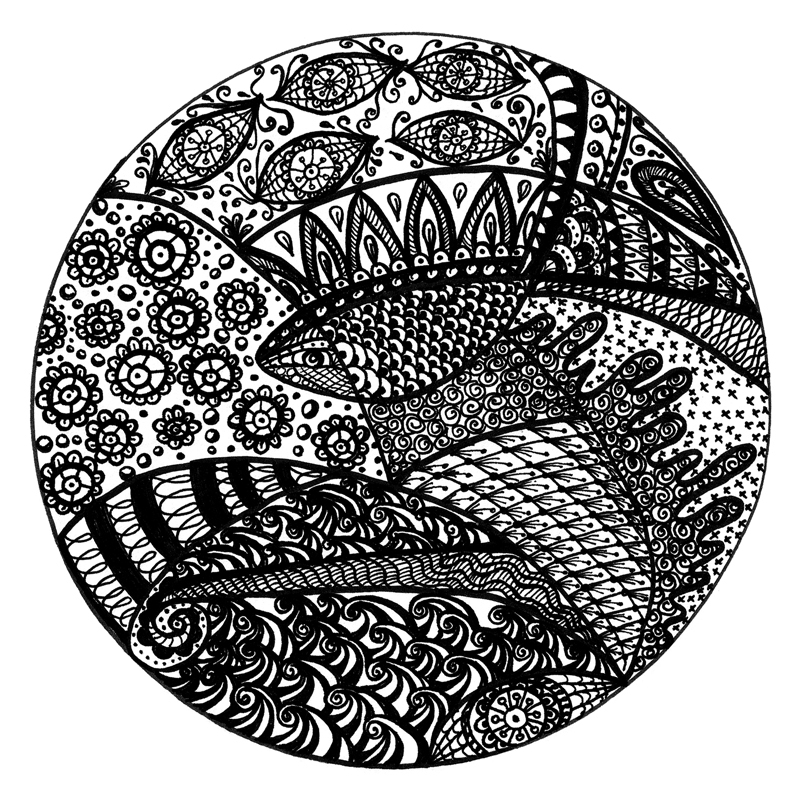 My first attempt at zentangling. 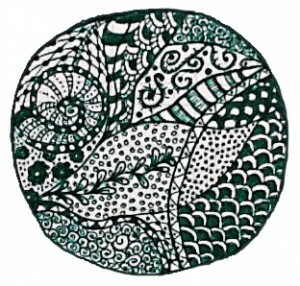 A green zendala with a leaf and a snail. 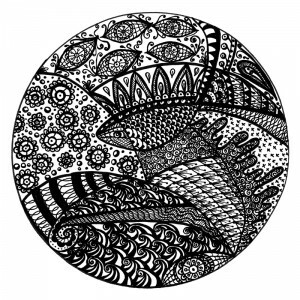 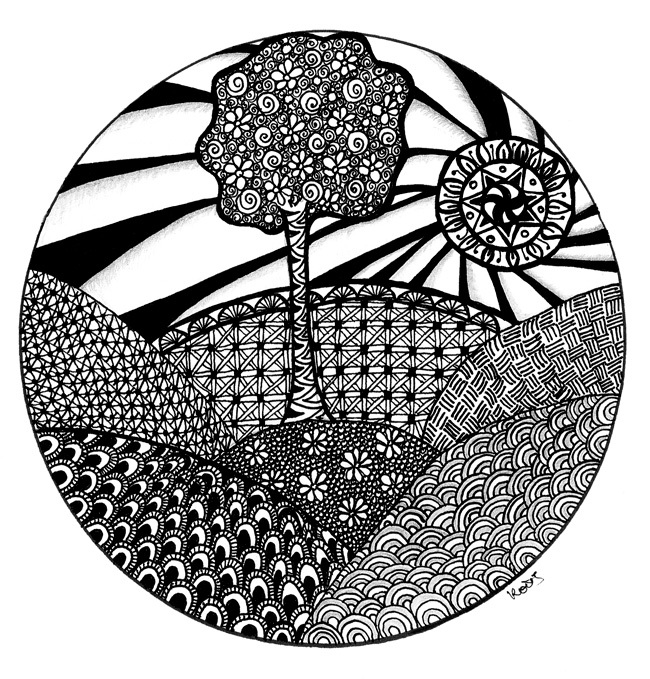 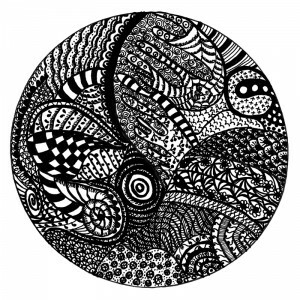 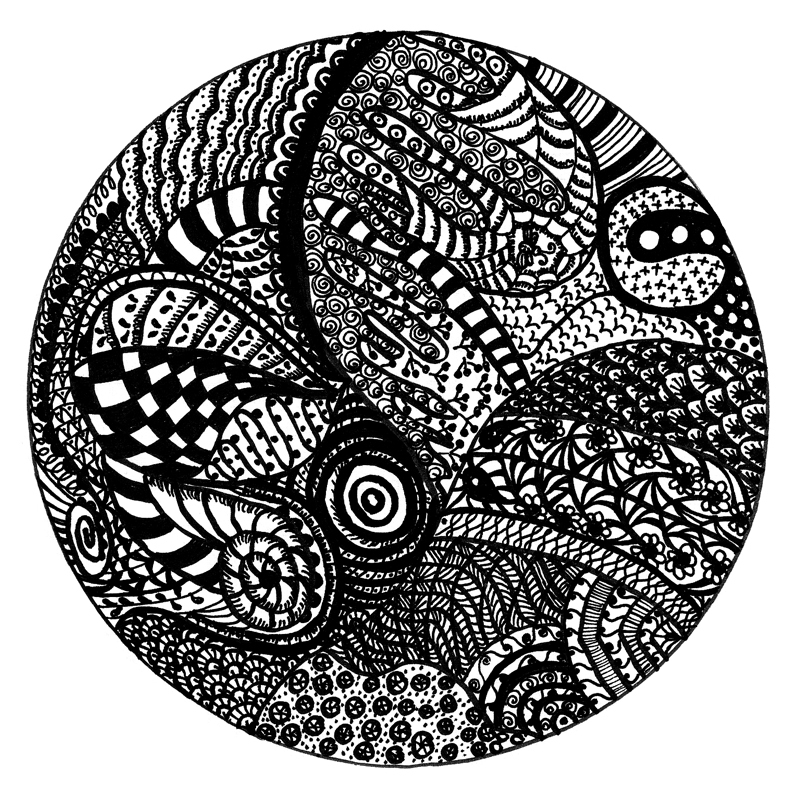 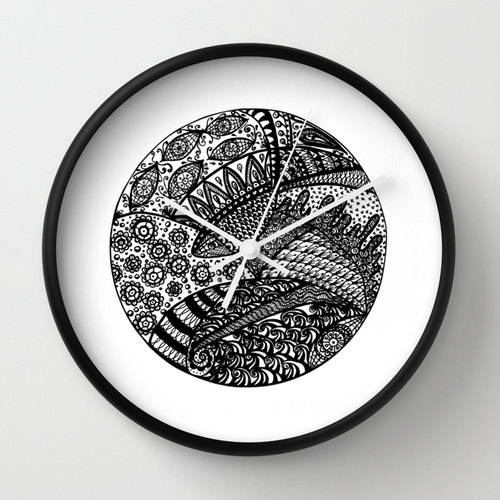 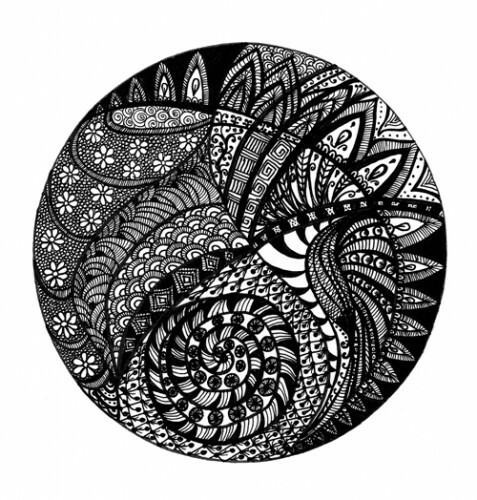 Zendala # 1, a black and white zentangle mandala.